Despite a variety of compliance options, Shell expects most of the world’s shipping fleet will switch to very low sulphur fuel oil following the implementation of the International Marine Organisation’s 0.5% global sulphur cap on 1 January 2020. To help customers prepare for the new bunker fuel landscape, on 9 April Shell Marine announced the introduction of a new two ­stroke engine cylinder oil specifically formulated for marine operators employing IMO compliant low sulphur fuels. The oil, Shell Alexia 40, will be launched in Singapore from 1 June 2019, and will roll out to Shell’s main supply ports including the United States, China, United Arab Emirates and the Netherlands, before the IMO legislation comes into effect. Shell Marine currently serves more than 700 ports across 61 countries, with 10,000 vessels ranging from small fishing boats to large ocean tankers. In a statement, Joris van Brussel, Shell Marine global general manager, highlighted the importance of supporting customers through what is a difficult time for the shipping industry with “the right lubricants in the right place at the right time to take the uncertainty out of fuel selection.” The company says Shell Alexia 40’s performance has been assessed through rigorous testing using IMO 2020 compliant fuels at Shell’s Marine & Power Innovation Centre in Hamburg, Germany, and on-board ships with the latest engine technology. “Post IMO 2020, it is imperative for engine performance that customers can rely on the cylinder oils they choose,” said van Brussel. 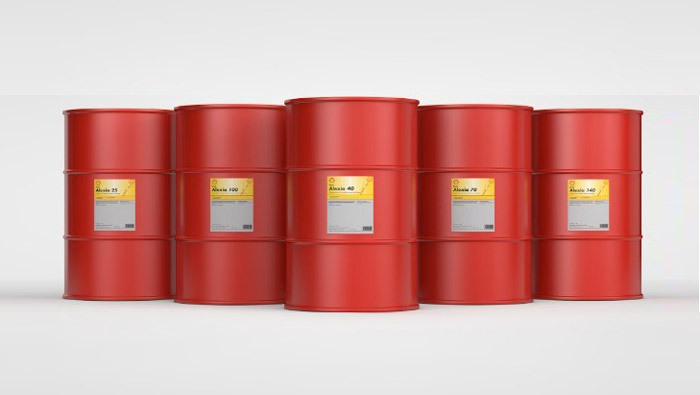 The launch of Shell Alexia 40 coincides with the release of a broader Shell Alexia portfolio, all branded by base number to align lubricant selection with fuel use and minimise misapplication, that includes Shell Alexia 25, 40, 70, 100 and 140.